captain cook | I Haz An Adventure! 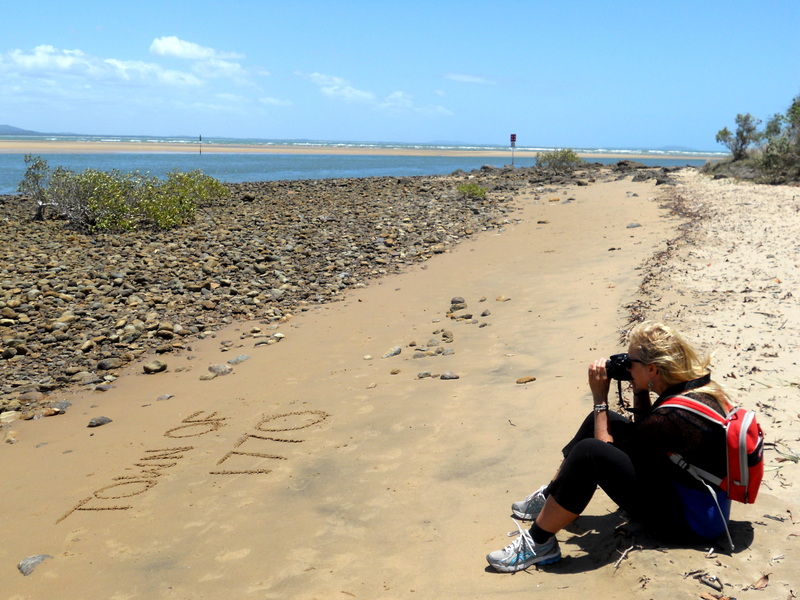 Exploring the Foreshore in the Town of 1770. 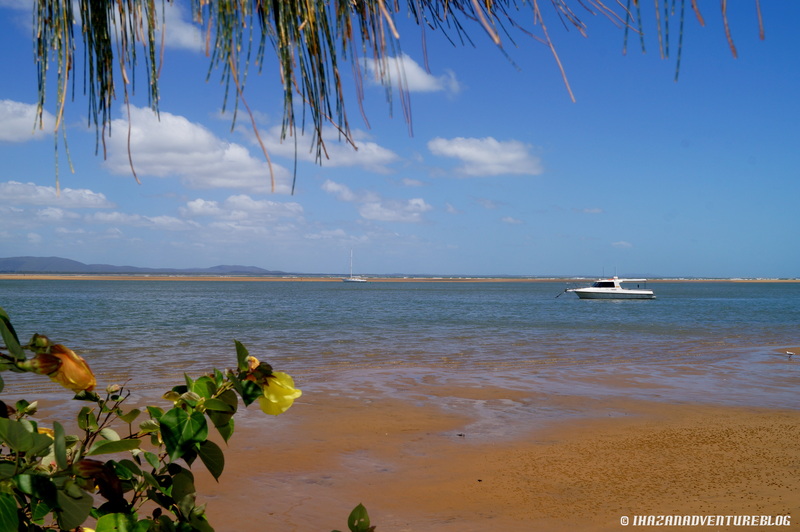 Having left the bright lights and balmy nights of Cairns behind, we now find ourselves in a little lost oasis which goes by the name of the Town of 1770. 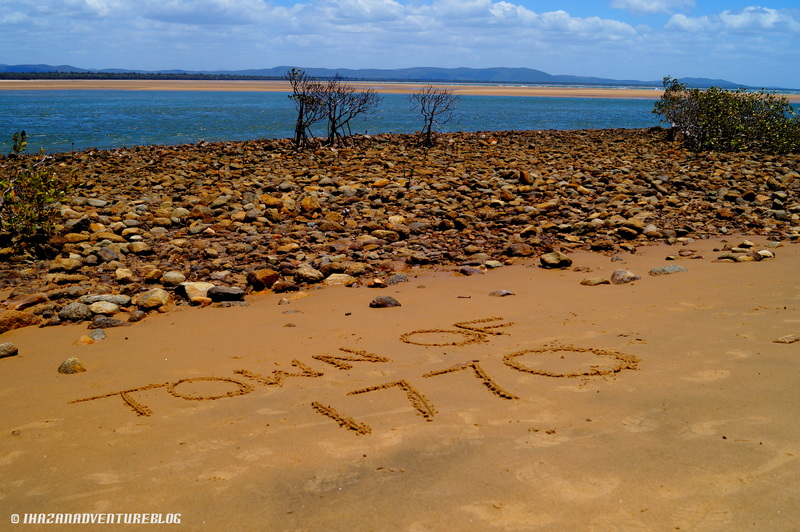 The Town of 1770 – aptly named the Birthplace of Queensland. 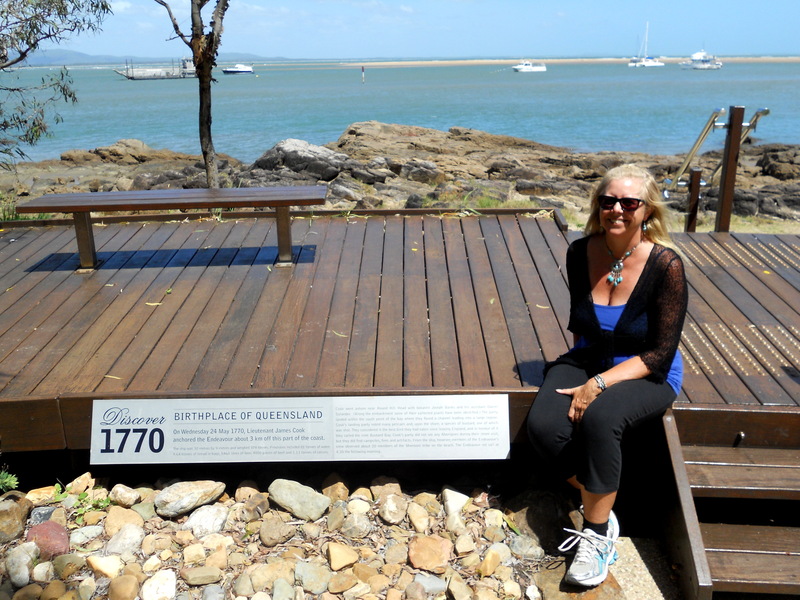 Captain Cook’s historic landing on May 24th, 1770 has given this town its namesake and its claim to fame. 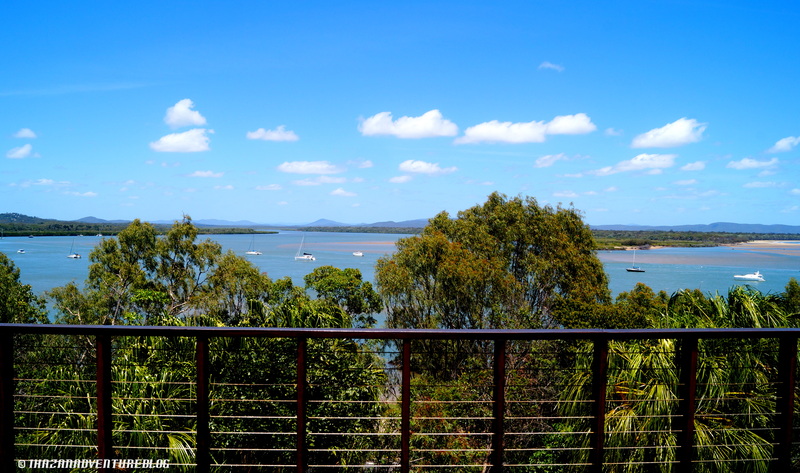 The Town of 1770 was the second place that Captain James Cook came ashore after his original landing in Botany Bay, and it was the first time any European had ever set foot on Queensland soil. 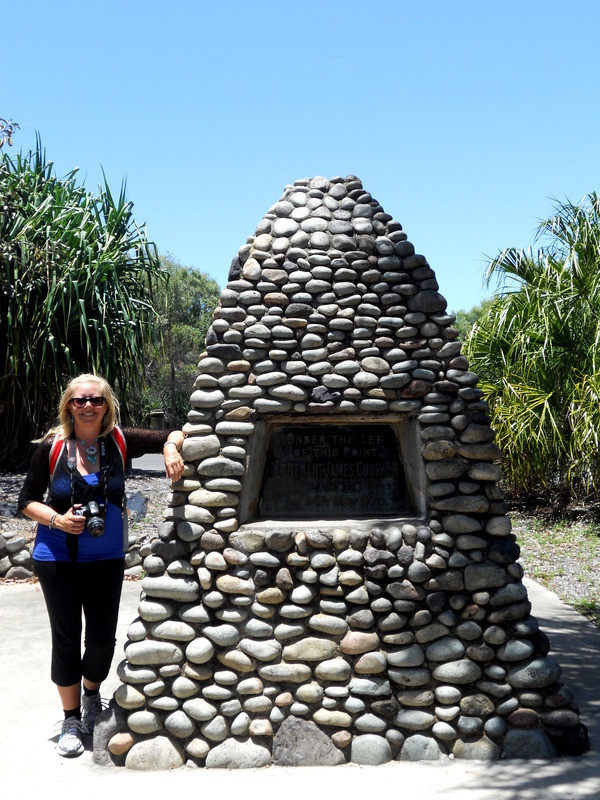 This cairn is a monument to the historic landing. 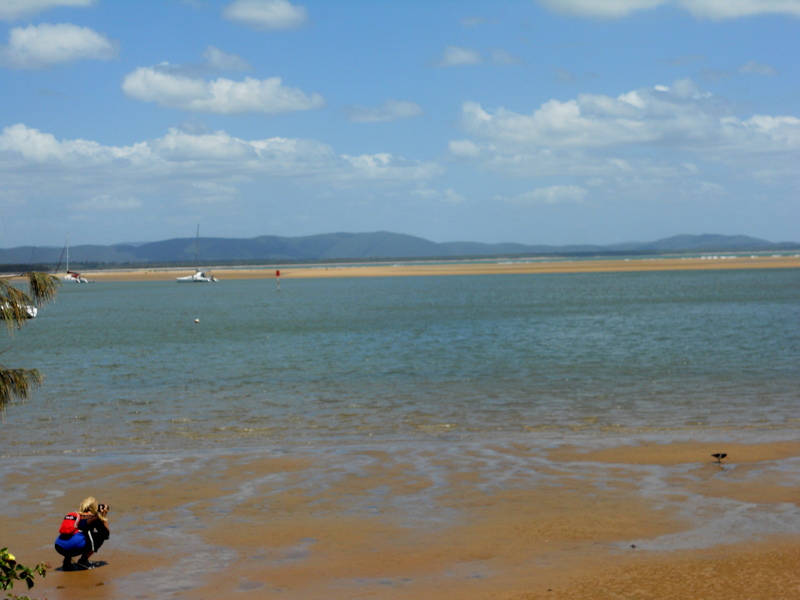 James Cook pulled the Endeavour into the sheltered waters of 1770 in almost the exact spot as we are staying now. Our vantage point from the observation deck would have given us a good view of the majestic white sails as the tall ship drifted towards the shore over 200 years ago. That scene is not too hard to imagine as I gaze out over the waters in this place that feels timeless. I wonder what the Aborigines must have thought when they saw a gigantic part kayak/part bird pull into shore! 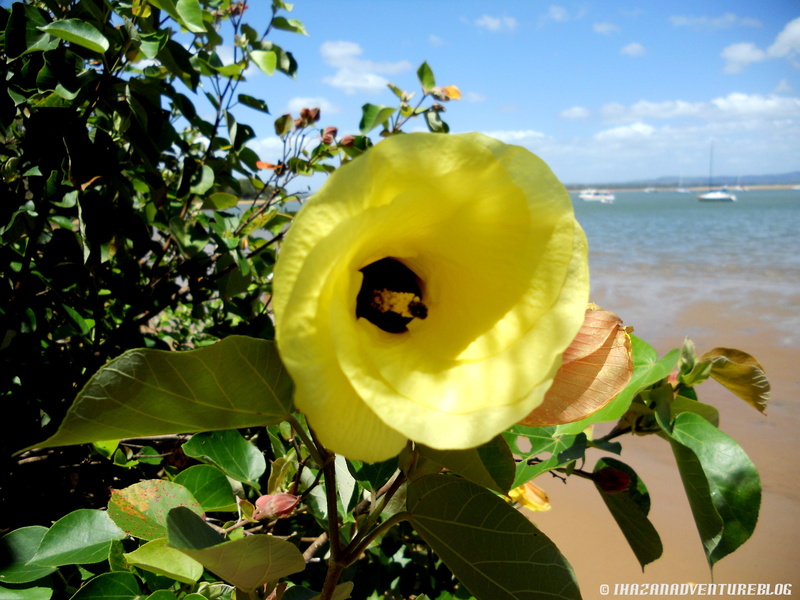 Today we leisurely wandered along the 1770 Foreshore, which has a well maintained boardwalk winding through lovely parklands and waterfront picnic areas. It took a long time to cover a little ground as we continually stopped and snapped pictures of the natural beauty in this area. 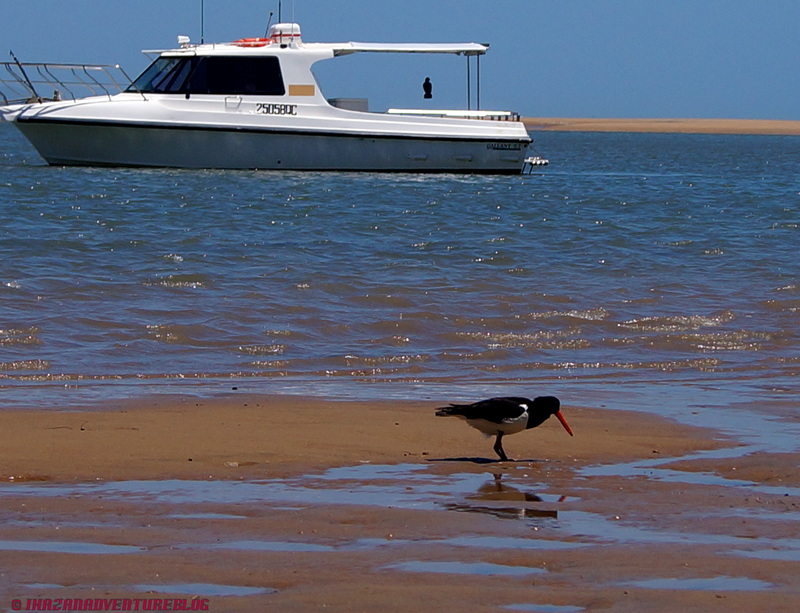 ‘Suzy Butler’ in the wild … stalking the unsuspecting Sooty Oystercatcher. We’re on 1770 time today. Just being in the moment and enjoying nature’s beauty. My (newly discovered) passion for nature photography continues to increase, and has been spurred along by the excitement of having one of my photos picked up by a popular international travel blog as their Fan Photo of the Week. They are now using it temporarily as their Facebook Page Cover photo, with my name credited. Have a peek before it disappears! 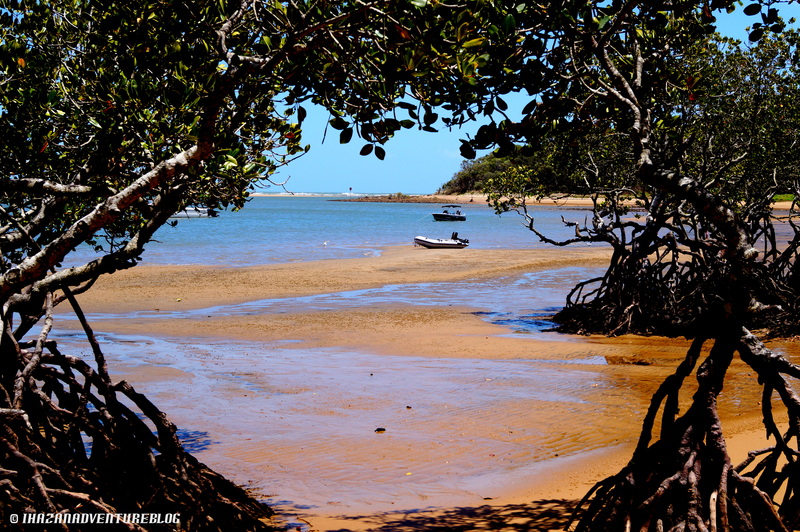 The Town of 1770, and its neighbouring seaside village Agnes Water, are far from being fully explored yet. This is the hop off point for the idyllic Lady Musgrave Island which we will be visiting soon, and there’s plans to have a lark on the Larc tour (Lighter Amphibious Resupply Cargo) as well. 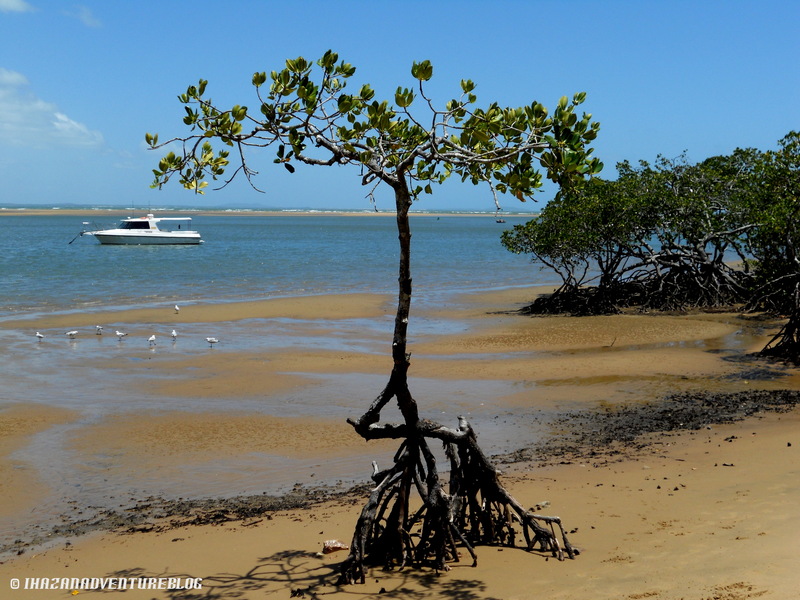 This full day tour covers both the land and waterways of Agnes Water & 1770, taking you to otherwise inaccessible areas and providing lots of interesting (we hope!) historical facts. But for now it’s back to 1770 time … as the sun sets on another day in paradise. Stayed tuned for more adventures!